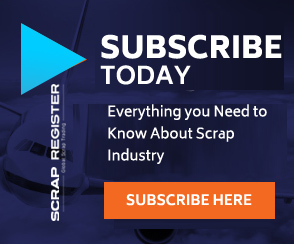 NEW YORK (Scrap Register): United States silver scrap prices gained on the Scrap Register Price Index as on Monday, while silver futures prices at New York Mercantile Exchange showed an uptrend, after the reports confirming that China's central bank continues to add to its holdings. The major silver scrap commodities on the Scrap Register Price Index showed a weak trend on Monday. The hallmarked silver scrap prices advanced by 0.36 percent to $12.464 an ounce and non-hallmarked silver scrap prices dropped to $11.06 an ounce. The most active May Silver contract on the COMEX division of the New York Mercantile Exchange has advanced by 0.90 percent to $15.216 an ounce on Monday. Prices started April lower after China’s Caixin index suggested the country’s manufacturing sector was recovering from a sharp slowdown. Meanwhile, reports that Washington and Beijing have resolved most of the issues in their long-running trade dispute.